The Maruti Swift Dzire has been around for a while now and though, its not a fresh face anymore, it still rules the compact sedan segment. Even new competition, in the form of better looking and better equipped cars hasn’t managed to deter buyers from flocking to Maruti dealerships. Still, the car has been due for a facelift for a long time now and Maruti has decided to address the issue by bringing in an updated version of the popular sedan with a few cosmetic tweaks and added features. With the launch of the facelifted Dzire is just around the corner we have, for your convenience, compared the new 2015 model with the outgoing one to give you a detailed summary of everything that’s new on the facelifted Swift Dzire. Read on to find out just how substantial the changes made to the new model are and let us know what you think about in the comments section below. All the changes made to the exterior have enhanced the car’s appeal and made it look more upmarket, but not by much. The alloy wheel design looks more premium and Indian buyers would love the chrome additions to the front. The re-profiled front bumper also makes the car look a bit wider than before. Overall, the Dzire still isn’t a very good looking car and the stubby boot, trademark of a compact sedan, still looks awkward and manages to spoil the Swift hatchback’s beautiful exterior. No changes have been made to the interiors in terms of design or materials so expect the same good quality, neatly laid out dash with a black and beige combo and faux wooden inserts. There will be more equipment added to the Swift Dzire and full list will be available only once the launch takes place. Expect many of the features that were added to the Swift facelift to make it to its sedan sibling. Also, lower variants are expected to get more kit than before and a new LXi(O) variant will also be added to the line-up. The outgoing Swift Dzire is, by no means, an ill equipped car, but when compared to newer competition such as the Zest and the Xcent, it falls a bit short. The additional equipment Maruti has added will bring it on par with the competition and enable the Dzire to make a better case for itself. Maruti will not be making any major mechanical changes to the 2015 Swift Dzire and it will continue to use the same engines as before. The diesel version will be powered by a 1.3 litre Multijet diesel making 74bhp and 190Nm of torque, while the petrol version will be powered by a 1.2 litre motor making 85bhp power and 114Nm of torque. 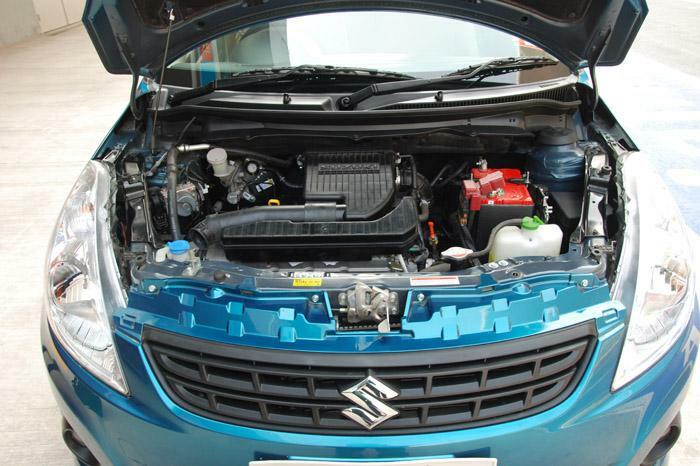 However, Maruti will tweak these two engines slightly in order to better the fuel efficiency figures. Transmission options are likely to remain the same as well, 5-speed manual for the diesel and petrol and a 4-speed automatic for the petrol. Both the motors powering the Dzire do their job pretty well and there wan’t any real need for change. Plus, enhancement of fuel efficiency figures will only make things better. The minor price hike is justified since the Dzire gets additional kit. Prices for the automatic variant are not available as of now. A new variant LXi(O) has been added which was previously unavailable. It is still not the best car in its segment as we have explained in this comparison here, but the changes made to the Swift Dzire have definitely made the car better and a more attractive proposition than before. However, since the changes are not very major the car’s core weaknesses i.e. the unattractive looks, cramped rear seat, tiny boot, still persist. Judging by its run so far, these weak points have not kept buyers away from the Dzire and the compact sedan looks all set to continue its successful run in India.